The 13th Annual General Meeting (AGM) of the Association of Professional Sri Lankans in the UK (APSL), was held on Saturday 06th May 2017 at Citadines Holborn – Covent Garden, London, with the participation of the members of the Association. Her Excellency Ms. Amari Wijewardena, High Commissioner for Sri Lanka in the United Kingdom, who is also the Patron of the Association graced the occasion. The meeting began by all attendees observing a two-minute silence to pay respects to two very active members of the Association, Dr Raj Chandran and Dr Chesmal Siriwardhana, who sadly passed away during the year 2016-2017. Dr Raj Chandran was a frequent participant and donor for APSL activities, and offered vital support needed especially during the early years of the Association. He hosted the first seminar organised by APSL in Nottingham. Dr Chesmal Siriwardhana was serving as one of the Vice Presidents of APSL and he provided leadership for the organisation of professional development events specially to encourage young Sri Lankan professionals to join and participate, and he was the Editor of the publication of the APSL bi-annual Newsletter “The Professional”. The first session of the meeting began with the welcome address by the outgoing President of APSL, Mr. Leslie Dep. He briefly outlined the excellent progress made during the year. Mr Dep was stepping down as the President after the completion of his two- year term, and he thanked the executive committee, all members and well-wishers who supported him during his tenure. He extended his fullest support to the incoming committee and to the Association. Mr Dep reiterated the importance of attracting young Sri Lankan professionals into the Association. He also stressed the importance of APSL working together with like-minded organisations on humanitarian projects. He cited the completion of the Solar Power Project at Nochchiya with UK registered Charity Hela Sarana, and the planned seminar in London in association with the UK based organisation, North and East Education Forum on Economic and Education Development in the Northern Province with the participation of the Governor of the Northern Province of Sri Lanka, as examples of such collaborative projects undertaken by APSL during the year. Mr Leslie Dep’s address was followed by the reading of the minutes of the last AGM by the General Secretary, Dr Mohan Siriwardena. After the adoption of the minutes of the last meeting, Dr. Mohan Siriwardena presented the Annual Report for the year 2016 – 2017. Three executive committee meetings were held during the year 2016 – 2017. Two of them were held in London while the other was held in Manchester. These meetings were well attended by the executive committee members. Various policy and planning matters related to proposed projects and events, were discussed and agreed at these meetings. At the AGM, it was noted that the year 2016-2017 was another highly successful year with serval projects achieving significant milestones. The fundraising Dinner Dance event to celebrate the 12th anniversary of the Association of Professional Sri Lankans in the UK (APSL UK) was held on 16th July at the Hilton Hotel, Watford, with the presence of a large gathering of members, their families and well-wishers of the Association. This year the event was dedicated to raise funds for the APSL Solar village projects in Sri Lanka. 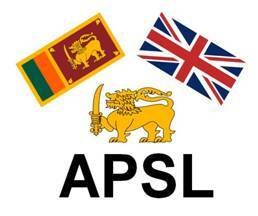 The APSL Scholarship Scheme launched in 2014 on the initiative shown by Prof Terrance Fernando, University of Salford, UK, to provide financial assistance to gifted but underprivileged school children in Sri Lanka, continued to grow during the year 2016-2017 too, under the leadership of Mr Mervyn Silva. Total number of scholarships now stands at 34. A fundraising dinner dance was held on the 26th of November 2016 in Manchester. This event was well attended by current sponsors as well as friends and well-wishers. 2016-2017 was a land mark year for the APSL Solar Village Project. Using the funds raised through the Dinner Dance and through other donations, APSL managed to commission a APSL Solar Powered Village Development project in Nochchiya, in Kurunegala District, Sri Lanka. This project was delivered in collaboration with Hela Sarana, another UK registered charity, and the Association is grateful for the support extended by Hela Sarana to work together and complete the project. APSL Solar Village Project Team under the leadership of Prof. I M Dharmadasa is currently monitoring the technical performance and the wider socio-economic impact of this project. Feedback received from the village development council so far is extremely positive, and the publicity provided for this project has now attracted significant attention from policy makers in Sri Lanka. The year 2016-2017 also saw the successful conduct of another APSL Young Professional’s event. The event held on 17th February 2017 at the Sri Lankan High Commission in London, was attended by a large number of young professionals in the UK. Four dynamic and talented speakers held the audience captive with their personal and professional experiences ranging from Law, Business, Population Health and Leadership. Following the event, an informal networking session was carried out over dinner and drinks took place at the nearby Victoria Pub. This event was organised under the leadership of late Dr Chesmal Siriwardhana. In the wake of floods and landslides in Sri Lanka in May 2016, APSL was swift to respond. In addition to the donation made to the Government of Sri Lanka via the Sri Lankan High Commission, APSL teamed up with a non-profit organisation in Sri Lanka, to provide school bags and other necessary stationary to 83 affected children in Napawela, in Kegalle district. The Treasurer Miss Buddhini Liyanage presented the Annual Statement of Accounts for the year 2016-2017, which was adopted as correct. The election of the new executive committee for the year 2017-2018 followed next, and Dr Andrew Nayagam presided as the returning officer. In the absence of any other nominations, the proposed list of nominees notified to the members the following, were elected unanimously to the executive committee 2017-2018. Mr Suraj Wijedra who was elected as the president of the Association, addressed the gathering and he thanked Her Excellency the Sri Lankan High Commissioner and the office of the Sri Lanka High Commission, all the members and well-wishers, for the support given to the Association from the inception of the Association. He also thanked the members for placing the confidence in him. He outlined his draft programme for APSL and requested everyone to continue to support APSL. Before ending the second session, an opportunity was given to the members to express their views and suggestions on matters related to APSL activiities. It was a very fruitful discussion with many members coming up with very useful suggestions for the betterment of the Association in future. The third and the final session of the day was the keynote address delivered by Dr Saman Perera, Consultant Radiologist at Southend University Hospital on the title “A window into the Brain”. He dedicated his address to late Dr Chesmal Siriwardhana. He provided an excellent overview of the techniques used for brain imaging, and presented the advancements made in detection of brain related diseases. Following this highly informative presentation, a Q & A session was held, where several in the audience participated in a highly fruitful discussion. The AGM concluded with the Vote of Thanks given by the General Secretary Dr. Mohan Siriwardena. He thanked Her Excellency Ms Amari Wijewardena for gracing the occasion. He also thanked Dr. Saman Perera, APSL executive committee for helping to organise the event, APSL members and all those who attended the AGM to make it a success. The dedication and hard work by the respective project and event leaders, and the support given by the executive committee and members, was vital for the success of all the above projects and events during the past year. Our thanks are also extended to Newslanka and Sesatha media organisations for providing wide publicity for our activities. APSL is also grateful to the various organisations who provided sponsorships for its events throughout the year. It was a very successful 13th Annual General Meeting and we look forward to your support and participation in the coming year at all our events and projects.